Rated 141 points - posted 9 years ago by BrendaKaye in category Other. Hi i am getting a black moor and goldfish if You have any name sagestions please please Let me know! I got a new tank and added Fancy Goldfish to it I named my two Black Moors Night and Galaxy then I named my Pearescale, Penny and my Panda Moor, Oreo. Hope this gives advice to people. I have 10 Goldfish their names are Goldie, Marble, Ruby, Comet, Oscar, Clover, Casper Sonic, Pearl and Sushie so theres a few ideas! 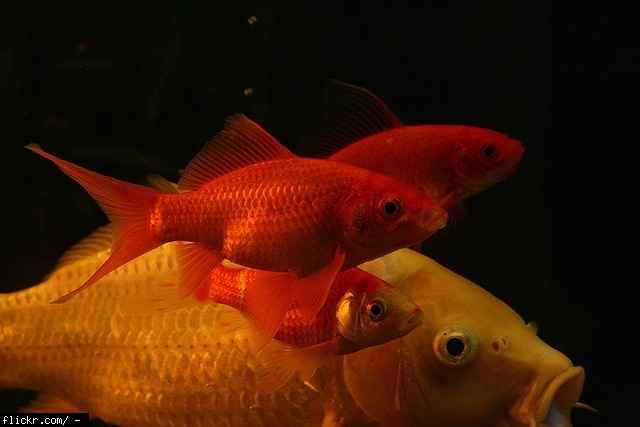 I would call a goldfish goldstar or silverstar depending on their colours. I recently got 2 goldfish, well today, they're tiny and shy. I do not have a name yet. But the two other ones I have are pacman and relay. They're bigger than my hand. I am naming mine Cheeto and Dorito because I am getting 2!!! Just got new fish. Named him Fish E. Stick!!!! I named my new goldfish "Guldfisk" which is Swedish for goldfish... get it? I have a Swedish fish... like the candy!! Got a fish today goldfish. Soooooooooo adorable. I thought of naming it hunter, but I named it Millo. hi im getting a 5 godlfish for my birthday! i might call 1 of them Blaze! I've got 1 goldfish and I named him splash! I recently got a goldfish from a carnival and I named it Garfield. A few names that I personally like are Bartholomew and Moop. Jojo is also one that I personally like. My sister named hers Superfishman. My sister named her gold fish bubbles but I don't know what to call mine? Just got a fish what should I call them? Hetty for the boss lady on NCIS LA! I have 3 goldfish ~Red head, she has a red dot right on top of her head and the rest of her is white. ~Blaze, he is BRIGHT BRIGHT Fiery red. ~Chip, I wanted a fish named after my favorite snack! my fish name was "Puddles" everyone loves her name..
My 7 year old nephew named his goldfish Lightning! speedy is a good name, too. I named my goldfish that cool name and rinds me of hot sauce good name for a male but I don't know if it is a male it might be a female because the carnival people who gave me it didn't tell me!! A good option for your goldfish, or any fish for that matter. 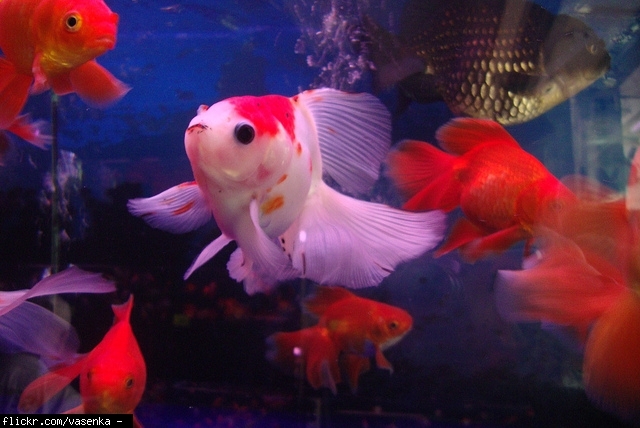 I one had a fish called onesie because it had one eye and Was missing a fin...poor onesie. Trivia and pixie are Okish names for two baby goldfish I guess? Cute name, but maybe a little over popular. Perhaps just Bubble would be better. I have two fish Oscar and Fishy, and I just got a new one today, I think I might name him fin. Cute, but not very original. I got a fish he was dark gray bot gold in the sun and I named him Bubbles. Such a cute name! I USED BUBBLES FOR MY PEARLSCALE!!!! I am naming my goldfish bubbles because I really really really really LOVE the name bubbles. i love this name that I'm naming all 90 of my goldfishes bubbles. such a cute name. i named my fish that. OH OH OH OH OH i like bubbles!!!!! OH OH OH!!!! =-O I LOVE THIS 1!!!!!!!!!! I just got a black fish and. ❤ The name bubbles so yeah it's an awesome name !!! Awesome name! I named my 1st goldfish bubbles!!!! My new goldfish is called flash because he is super speedy!! Thx for the idea! 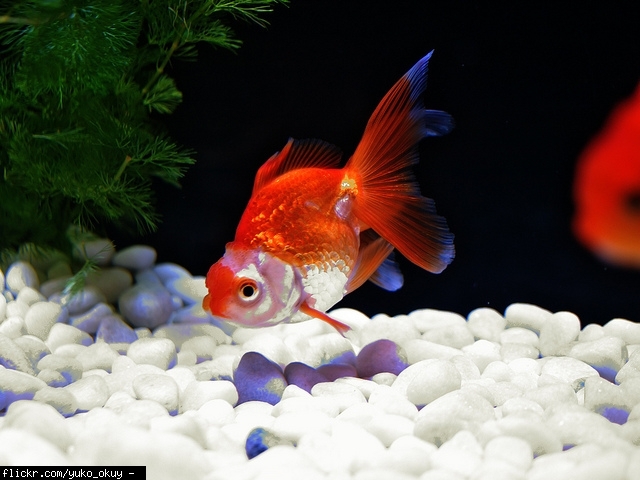 i would name my fish flash if he/she swam very fast but he/she swims at a medium speed. Nice name for a yellow fish. "And this is my fishsticks..."
like the river styx from greek mythology? Ha! Goldfish the goldfish! I like it! Aw man, that's totally rad! I'm going bonza dude! My granddaughter named her goldfish "Wave". I thought this was clever. We've had the fish for 9 months now and he's doing very well...actually is friendly....he comes up to the glass as to say hello. Cool name, I might call my fish this, Sammy and Cosmo, sounds good!! I had fish named cosmo and it fit just right for him! what a cool name i bet not many other fish have it ! I love mango it is my fav tropical fruit!!!!!!!!!!! EPIC!!!!!! What the... who would call their pet fish 'Jaws'? i"m naming my fish Jaws i love it! my fishes name was jawz!! but he jumped out of the tank and comitted sueaside IM HORRIBLE at spelling! Um, that's the point. It's facetious? Like calling your pet shark Fluffy. Get it? 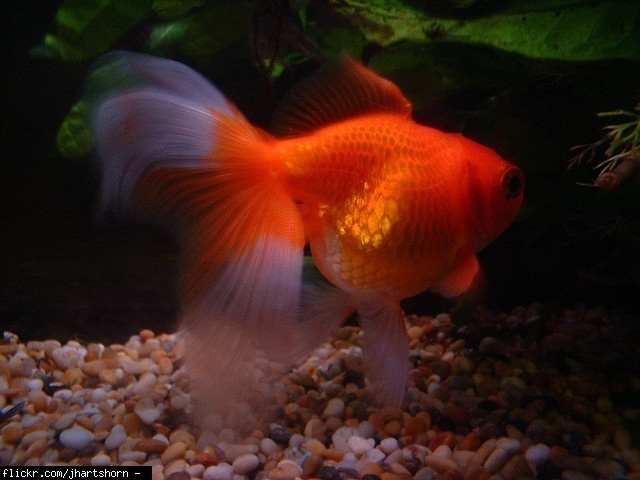 Great name for Calico goldfish who have specks of shiny silver or gold on them, like mine did. Super cute! !Plus my fish is completely orange.It's belly is a little white but that rest of it is orange.Thanks because I just got a brand new pet fish and was having some trouble naming it. I already had one callled pumpkin. She was orange too! best name ever for what time of year it is! I am so picking this for my goldfish. I just think it is an AWESOME name!!! You mean like Jelly Bean as in Jughead's little sister from Archie?Or the candy? 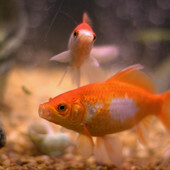 My goldfish are called cupcake and sweetie pie but I don't know of they are a boy or a girl. I like the name "Diamond" for a goldfish that is blue and sparkly like my goldfish. I am literally naming my fish this, I am getting two Black Moors and they are really chubby and round with bug eyes, so this suits this fish. I am thinking one could be named Gilbert, and the other can be Sullivan, because that is so cute and back in the day there was a comedy talk show and the hosts were Gilbert and Sullivan. I got a goldfish yesterday so a could it GOLDIE because it's gold. I can't believe no one added this already. The classic name. Enough said already. I got a white, kinda gold, mostly black goldfish yesterday and I'm not sure what to name him/her. Any suggestions? So far all I have is Shadow. Nemo is a very popular name for a pet fish, but that's only because it's seriously AWESOME! I have 2 shunbunkin goldfish called Alex and Piper from my fav TV show Orange Is The New Black! I got two goldfish & since im Mexican, I named them Juan & Jose. Its too cute ! It sounds like a clown fish name. I know an old fish named nemo! He has big cheeks! nice name and sounds like some kind of shrimp? love it, and Calliope's one of my fav homestuck characters. For all you people who don't know what Homestuck is, it's a webcomic, and the best thing ever. It made me value life. thats like the island of fernados on take me out! I used to have a fish named fishy for 6 years he died though, but then I got two more and named one fishy. MY FISH IS NAMED THAT, BUT I AM CHANGING HER NAME! i named mine that !!!!!! love it ! i do not like it at all!!!!! I would honestly never be able to look at my fish without peeing myself laughing. I love the name, but my fish is slow. love it. I have a very fast fish I got yesterday it is a goldfish .it has a white tail I called it sparky! yeah! like the late Cincinnati Reds baseball player. I am so useing this, that is clicie but cute. Or green!! You could name a fish thus if it was green like a lime!!! my pet fish likes it!!!!!!!!!!!!!! This is a good name for a fish that is small and orange and yellow. That's a cute name... not so sure i'd us it unless my fish was yellowish or orangeish. Short, simple and cute - great for pairs. MY SISTERS NAMED RUBY! OMG I NEVER KNEW IT WAS SO POPULAR! cute! not my fishes name, but still. my friends name is ruby! MY SISTER IS CALLED RUBY! but Boris is a spider`s name ! You can`t seriously expect a fish to accept that any more than it would Rover. You will probably give the poor thing an inferiority complex by giving it such an inappropriate name. I love it, my mom doesn't. its such a cute name, though. 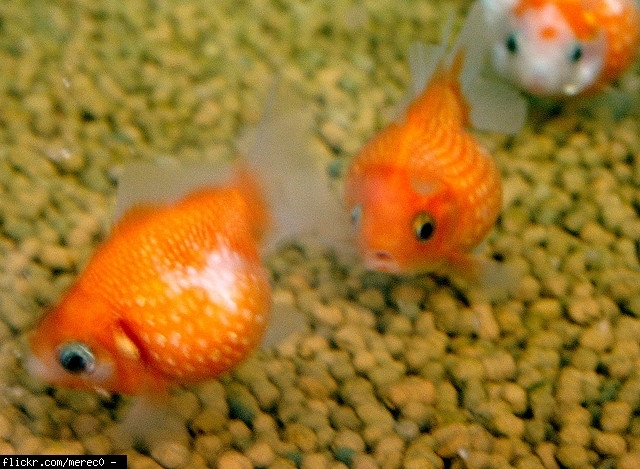 I dont think i would eat my goldfish if it looked like sushi. If I were a fish, I would be afraid if my owner named me Sushi. Seriously. FISH ARE FRIENDS NOT FOOD. I named my fish this! Awesome name! I love it! But my mom says I shouldn't name my fish that. Ha cool name i could call one of my goldfish dorito and the other cheese! i love this name i'm namig my fish this!!!!! A fitting name for a larger and slower goldfish. That's cool and the ideal name for my pet goldfish since he's a right fatty! Perfect for a multi-coloured fish. Those are the exact colors of my goldfish. It's just such a catchy and fun name! I think it's super cute and I think I am gonna choose it for the gold fish I'm getting tomorrow! My dog is called pebbles! I for one love it! Thanks so much! I now have a goldfish name! And in my opinion it could work for both genders! pebbles for a boy or girl? when flipflops fist came out they were called flipflaps' no wonder they changed the name. good but souldn't it be flip and flop? I was searching through the names on this site then I saw skittles. I absolutely love the sweets so that's my new gold fishes name. good name. I like it! great name! good for a a fish who loves adventure and spotted. i named my fish that thanks. this is more of a birds name. 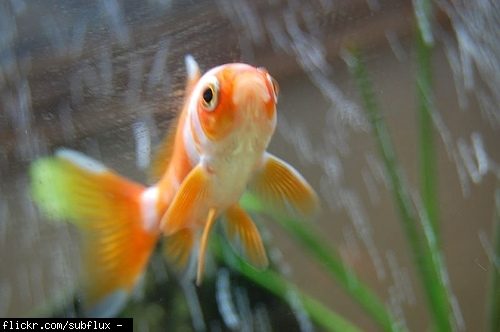 its acc an unreal name im callin me goldfish that!! I actually named this for one of my temperate platties. 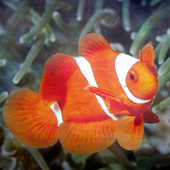 Great name for a fish that is a yellowish-orange colour. My BFF is named Amber! I am so not using this name. Going to get fish on Monday, yay. I'm calling them this !! If you had 2 fish, you could call them Yoshi and Mario! Not it is not cool. That name sounds really cute! Okay... you said 'in case its a girl'... but what if it's a boy? How would you ever determine the gender of a fish? Riddle me that. I think this is what I'm going to name my new goldfish. And plus goldfish look like the sun! This is good for fish who are part silver, and it's also good for owners who like poetry. cute, but i wouldn't name my fish that. I really like the name swimmy for a fish! Really cute! Haha this is a good onee!!!!! Doing Godzilla for the small fish!!!!! The above comment is HIGHLY clever. I love it so much. It's cool if you have Minecraft! I LOVE it! Comet.......like something that would come from space????? I love this name thanks for the idea! Love it that's what I'm nameing my fish! 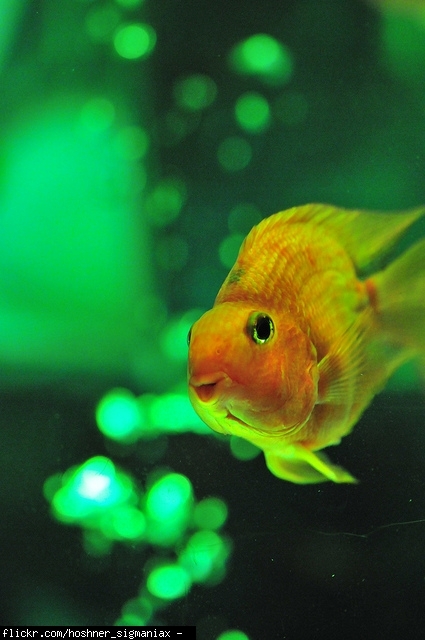 Calypso is also a type of mango, so a really good name for a goldfish! It is a good name for a fish that is very very super special to you. 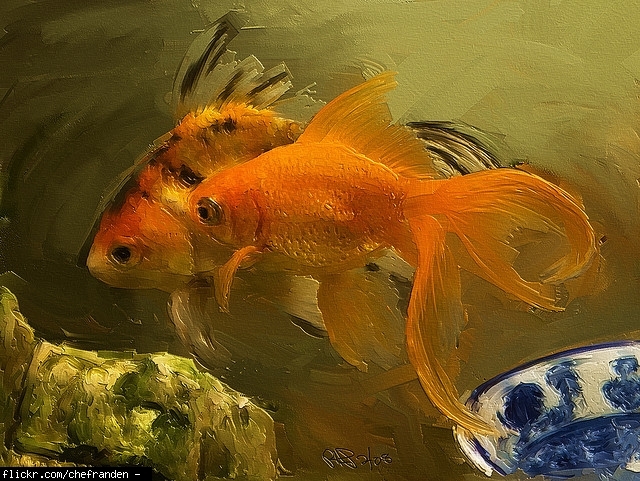 I had a goldfish once that had a graceful long tail but she died because a king fisher killed her. It is super sad. Please give surpport. My Build-a-Bear is called Sparkle! Monty Python reference - I like it. 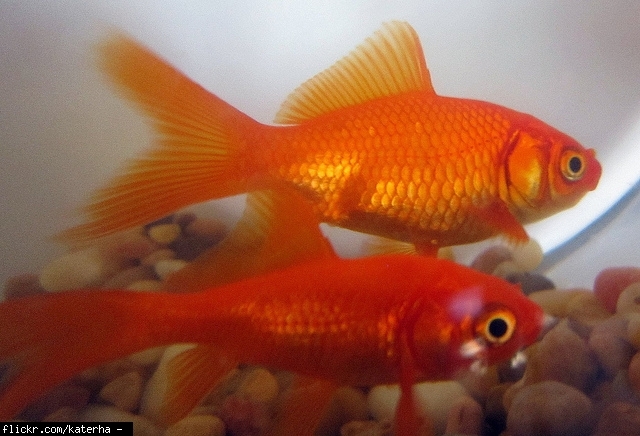 When they dead they also "bob"
I Have Named My Goldfish This Name It`s Epic !!!! My goldfish has black spots too and I already named it spot. i might use that name. my goldfish is gold with lots of black spots on him. With the appropriate color, this is a good name. That's a bit unkind to say that somebody's idea is "rubbish". O haha! From Nemo! the movie! 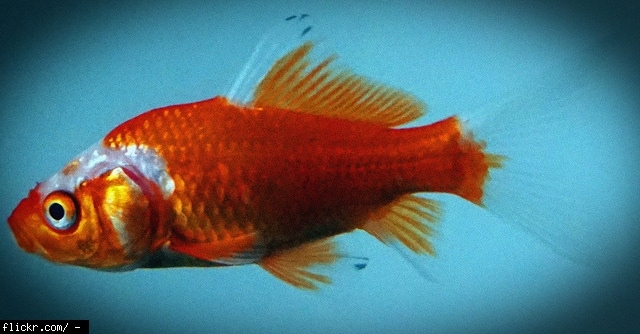 One of my oranda goldfish is called Shark-Bait. Hes the boss of the tank and the name suits him well. Perfect for a super-fast swimmer! You know, like the crab from Mermaid. This is a cute name for your fish. I think you might mean 'mustard'. ima name my fish dat!! nice! i will surely use this name! I've been wondering for a long time what to name my goldfish! cool i like it but if its a moody fish that sits on the stones all day then no !!!!!!!!!!!!! Dark timber of a tropical tree according to Google. Why ebony? Wat does it mean? That's my guinea pigs name. I called my last goldfish this, such a cute name. I also had another fish called firework. I named all my fish this all 34 of them!!! Do you pronounce the second one 'cor-NEE-lee-ous? love these name :) How did you come up with these as a pair. I guess it's just your god given talent. Steve is a fish name from these graphic novels I liked. There are about 7 fish and they ALL call themselves Steve. why would you call a goldfish steve???? Wouldn't it make more sense to call a cow "Mooooo"? I love cows so that is a cool name! For two fish who look alike. Named after the gemini twins. It sounds cool because you don't really want a plain name like 'Goldie' or the very popular 'Nemo'. It sounds exotic and unusual. Unique. This is a really cool name! Like Colby cheese, reddish-orange and white spotted, and because goldfish crackers are made out of cheese. I had a huge goldfish from Petsmart named this, but she died, her nick name was kissy because she would do that fishy kissy thingy with he lips and chase around cheddar, the other big goldfish that was in my tank. Cute name!! Could name one fish Colby and the other Jack! ↘Because Flamo sounds so much cooler than Flame. Okay... so why Flamo rather than Flame? I named our goldfish "Bolt"! 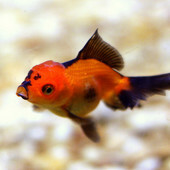 He was very confident with lots of character - a gold and dark brown Calico Ranchu. I loved the name! thats amazing!My fish is really fast! i like the chips bit, but who'd want to call their fish Fish ? My friend's goldfish was called Chips. The name Babushka means 'Grandma' in Russian. People love their grandma's and they love their pet fish!! What do grandmas have in common with pet fish? Use arrows to rank one item in Best Names for Pet Goldfish vs another.